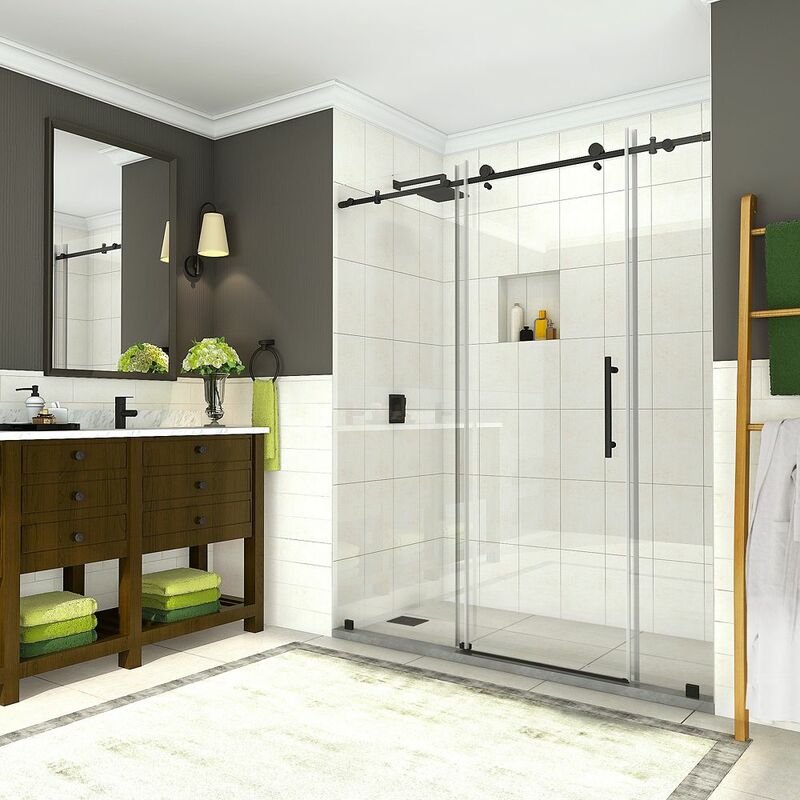 With its clean lines and striking hardware, the Coraline Completely Frameless Sliding Shower Door creates the ultimate modern showering experience. Highlighted by its refined stainless steel dual-wheel roller system, the Coraline features premium clear 3/8 in. tempered safety glass; tested and certified to ANSI Z97.1 Standard with StarCast by EnduroShield coating ensuring your Aston door stays beautiful for years to come. The Coraline sliding door is available in a number of standard sizes in which the top rail can be cut down up to 4 inches to ensure an accurate fit. It is designed for either a left or right-hand installation and is available in multiple finishes. The Coraline door will create an open, minimalist feel in your bathroom and become a beautiful focal point. This model does not include the shower base. Coraline 68 inch to 72 inch x 76 inch Frameless Sliding Shower Door in Oil Rubbed Bronze is rated 4.8 out of 5 by 41.